Published by Mountainblog on 04/23/2019 . The European Outdoor Group (EOG) is pleased to announce that IWA OutdoorClassics is returning as headline sponsor for the European Outdoor Summit (EOS) for its second consecutive year. 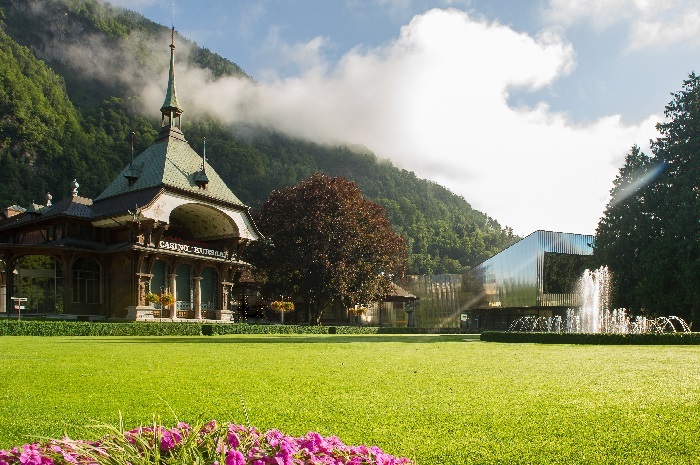 Registration for the Summit, which takes place from 26th to 27th September 2019 in Interlaken, Switzerland will open soon – save the date! Published by Mountainblog on 11/30/2018 . The convergence of The Decentralised Web 3.0, Digital Sustainability, and Open Technologies with the Internet of Things and Artifical Intelligence will fundamentally reshape the way we do business and govern our societies in the future. While open technologies enabled the masses to create their own digital tools, the decentralised web will enable the masses to create their own transaction networks. The rise of do-it-yourself digital currencies for everyone will see a plethora of economic and social experiments emerge, from digital platform cooperatives to new and more democratic ways to govern our societies. Marcus Dapp‘ interview gives a glimpse of this new world, its characteristics, potential, and what business leaders should prepare for. Published by Mountainblog on 10/11/2018 . Published by Mountainblog on 10/03/2018 . Published by Mountainblog on 10/02/2018 . Importance of Consumer Facing Transparency. Published by Mountainblog on 10/01/2018 . Driver of digitalisation in the supply chain. Published by Mountainblog on 08/29/2018 . With the OutDoor by ISPO Launch Conference, the outdoor industry has entered a new period. As we know, the kick-off marked the official start of the relocation of the “OutDoor” brand from Friedrichshafen to Munich. The trade fair will be held under the new brand name OutDoor by ISPO. Filming and Editing: Simone Enei. EOG is an association set up to represent the common interests of the European outdoor industry. Originally founded in 2003 by nineteen of the world’s largest Outdoor companies, this group recognised the need for a cohesive, cross border approach to representation of the outdoor sector. We live in a world of increasing internationalism, where legislation, environment, the media and trade are all now multinational issues. The combined strength of EOG member brands, and a close cooperation with national outdoor associations, provides them with an extremely powerful force to represent the European outdoor industry in a constructive and positive manner. What EOG does? EOG undertakes a number of efforts that will prove to be beneficial to the European industry. Initiatives include: representative market survey, industry workshops, collaboration with European trade shows, co-operation with national trade associations, promotion of best practice. The Summit is an initiative of the European Outdoor Group (EOG), the association set up to represent the common interests of the European outdoor industry. As a pan-European organisation the EOG is uniquely placed to support the Summit, which will be held in alternate years in different countries. The national outdoor groups representing these countries will organise each Summit, allowing each event to assume its own identity, content and experience, but with the Summit remaining open to all.